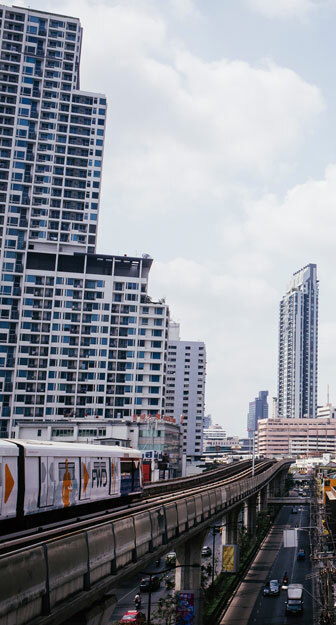 his program offer the best experience of Bangkok by being a Bangkoker, our guide will pick up you from hotel and go to BTS sky train, the most convenience transportation in the city of traffic drop off at Bangrak Market , one of the most colorful food market in Bangkok where hundreds of food station are waiting you to test. Then, take a public boat along Chaopraya River, where our guru will explain the important thing along the way. river & street guruDrop off at Ratchawong Pier and walk to Chinatown by pass Sampeng market, the gift & grocery market which influenced by Chinese trading. You will see people are trade and bargain. End of the trip with Yaowaraj Road, the heart of china town , where you can enjoy seeing Chinese herb shop, Gold shop as well as local Chinese life in Bangkok before back to hotel.